“The assumption that animals are without rights and the illusion that our treatment of them has no moral significance is a positively outrageous example of crudity and barbarity. Universal compassion is the only guarantee of morality”― Arthur Schopenhauer. 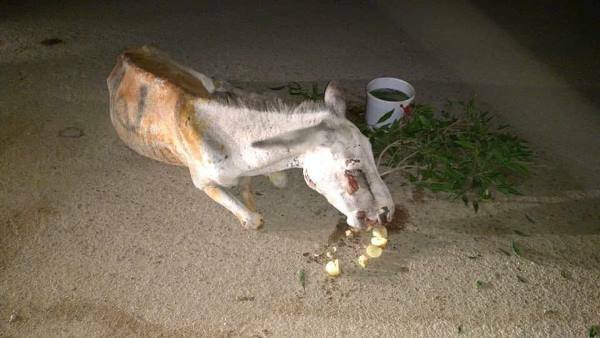 This is the story of Hero, a donkey that remains in critical condition after violent abuse. Every time I think our morality and apathy has hit rock bottom, I am proven wrong by another heinous incident that brutally violates norms of human decency and shreds any form of animal welfare. The more animal welfare is highlighted and the more awareness we all raise, the more people are in defiance or denial; going from bad to worse. On a personal level, I stop every donkey-wala in my neighbourhood, constantly educate my staff, friends and even strangers and get them to be kind to animals, whether it is a bird, a dog, a cat or a donkey. I even unwelcomingly start giving speeches to their family members or passers-by. But it seems all is lost. 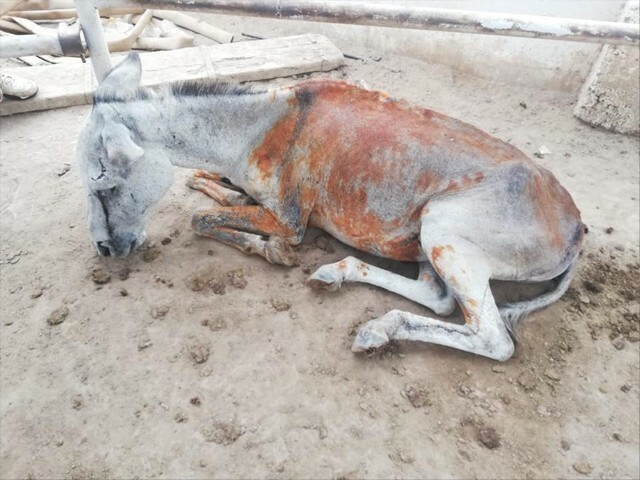 The situation got even worse a couple of nights ago when a gentleman named Abdullah posted a donkey abuse case on Facebook. Almost instantly, it went viral, being shared on various profiles, pages and groups. 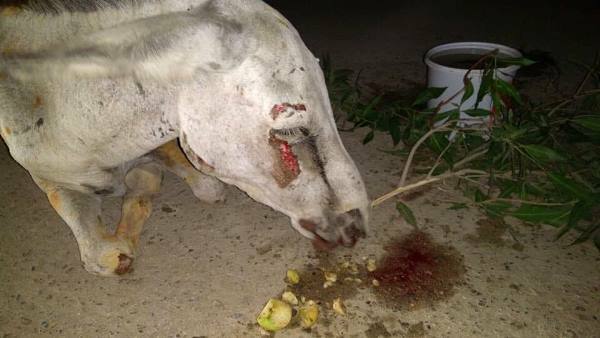 The post with the heartbreaking pictures of the beautiful beast of burden bleeding profusely from his nose, eyes and other areas, just sat there haunting all of us at 2:30am. All of us felt helpless. Not because we could not help him then and there, but because of the disbelief that someone would write a politician’s name on a donkey and proceed to violently abuse him over and over again. The disbelief that we as a nation could regress so badly in this one case. The shock consumed all of us that while we allegedly work towards a better Pakistan, behind the scenes, the situation is just dire. Following the brutal attack on Hero, some misguided people plastered a stray dog with another party’s flyers. This uncivilised behaviour is an indirect consequence of negative connotations associated with donkeys and dogs in our culture. Sadly, this is not the first case I have heard of, seen or been involved with. It is just the first case that has gone viral. In the past, I have heard of and seen photos of dogs and wild boars being labelled with the name of some politician and beaten to a pulp. I never had the guts to further look into those pictures but I know for a fact that Hero’s case is not an isolated one. 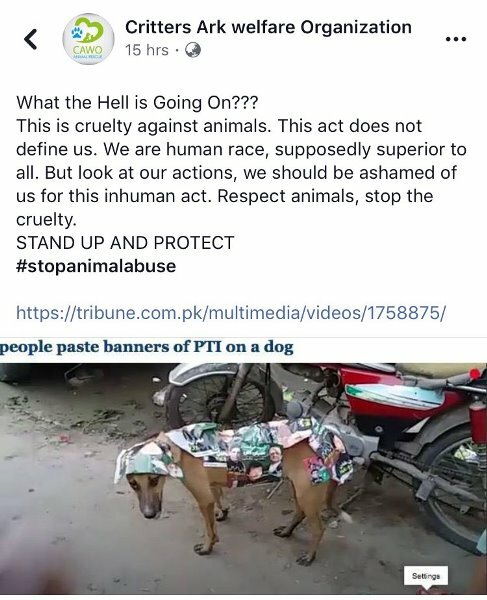 Apart from these “hate crimes” against animals that are used to settle scores, the plight of animals in Pakistan is all too real. 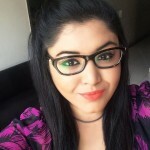 Every single day, there are posts on social media, reports to the Ayesha Chundrigar Foundation (ACF) team, of animals being either poisoned, shot, discarded, abandoned or tortured by people on the streets. Dogs, cats, donkeys, horses, camels, pangolins and even birds, are treated savagely. At ACF, I have met dogs and cats who have had boiling water thrown on them, puppies and kittens who have been burnt with lighters and had their nails pulled out for fun. Dogs and cats hit by cars and forever left disabled, and shot with pellet guns – all for entertainment and/or because no one thinks twice. All of this is due to the simple fact that there are no consequences of animal abuse in our country. All because they cannot speak for and defend themselves. Be it the animals suffering in dirty cages at Empress Market, or beloved pets snatched from their homes to be sold off, from importing wild animals to sell to people as pets to caging beautiful beasts who were born to be free – the onus is on us. There is a simple answer. Helping animals does not preclude helping humans in need. It is easier to be kind to animals than it is to people. Their needs are simple. Animals are pure, they are innocent, they don’t lie and cheat, they are not vindictive, they do not steal and they are just good in and out. If you cannot be empathetic and kind to an animal and respect their right to co-exist in this land of ours, how do you expect to pay heed to the struggles of human beings? It is also easier for people to help animals. Their needs are few and all they want is kindness and food. It is the basic starting point of humanity. But this is Hero’s story. Hero was one of the lucky ones to have been rescued. At 2:30am, most of the ACF team, who works tirelessly all day, was asleep. 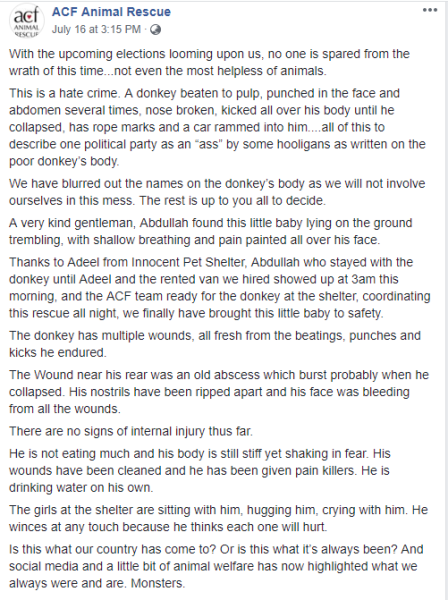 After seeing Abdullah’s post, a senior ACF member posted all the details and location for the donkey on our rescue collaboration group and I reached out to Mr Muhammad Adeel from Innocent Pet Shelter (IPS) to appeal to him to somehow rescue this donkey on behalf of ACF and get him to safety. Within 10 minutes of receiving the information, Adeel raced his way to the donkey who was lying on the road just waiting to die. Laboured breathing, in agony and bleeding. His eyes lifeless and all hope lost. We hired a van by some miracle at 3:00am, and Adeel waited by the donkey and helped load him into the van, all the while coordinating with the ACF rescue officer and night shelter manager. And finally they were on their way to safety. This particular teamwork and collaboration by two different shelters is a first for animal welfare in Pakistan. More often than not, small animal welfare groups sprouting in every corner of Pakistan have to compete with each other for limited resources rather than collaborate. For Hero, who was in critical need, ACF and IPS came together for a common goal: to save his life no matter what. This in itself was a huge win for animal welfare with the hope of more collaborations in the future to save even more lives. The ACF team members have carried out extensive research on donkeys, visited sanctuaries abroad and learned a mountain of information on these amazing animals. Donkeys internalise their pain; unlike other animals who will react out of fear or run when scared, donkeys freeze. Donkeys cry on the inside and their distress is hidden unless you really learn to recognise it. The donkey will keep going till his last ounce of strength because that is the beauty of this resilient creature. 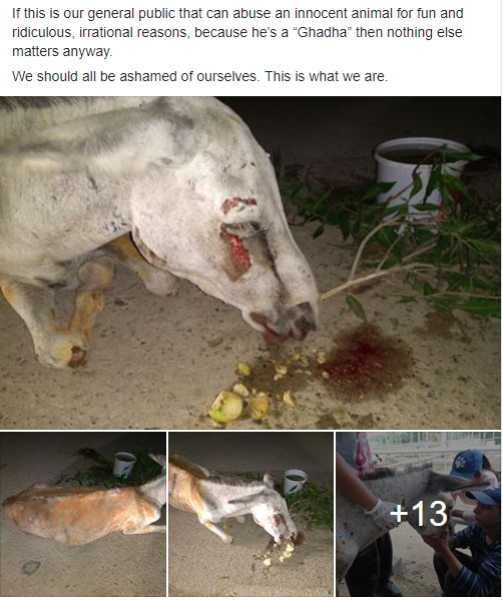 Yet they are one of the most mistreated animals in Pakistan. 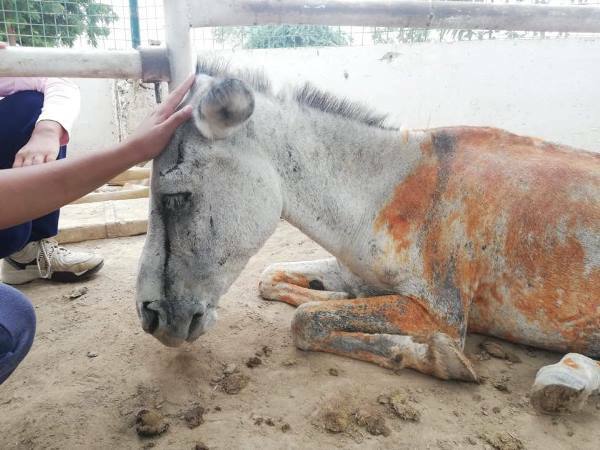 Hero is now at ACF, receiving the best possible care and being given lots of love, the best quality food and rehabilitation by seasoned professionals, so there is hope for Hero, though he remains in critical condition. How many more “Heros” are out there? How many more have to suffer the same fate? How many more will it take for people to speak up and spring into action? Not every abuse case is or can be viral, or gather as much media attention; in those cases, which is a lot, the animals suffer and die. It’s happening right under all our noses and unless we wake up and face the reality, many more Heros will suffer a fate even worse than death. People ask what they can do. It’s not difficult. If you see an animal in distress, call for help. Please stay with the animal until help arrives. All too often, people who report an animal in danger don’t give clear directions and rescue teams are left searching in futility. If you cannot stay, please give your number so the rescue teams can reach you from the field. If an injured animal is in imminent danger of being run over, place stones or bricks around it to prevent oncoming traffic from injuring it further or running it over. Puppies, kittens, goats and donkeys can be safely moved by yourself. Unless you have practice, avoid touching adult cats or dogs, who can hurt you because they are in distress. And easiest of all, put a bowl of fresh water out every day for birds and other animals. Stop others from hurting animals. Speak up. Be kind, it does not cost us anything but can save the lives of many animals. Do your bit to save civility, humanity, this country and its inhabitants, all of them. A dog is dog, so why do we discriminate by culling the strays? Thank you very much for pointing this out. I was really sad to hear about this esp since i have been a strong supporter of animal rights and of ACF from their start, esp their help towards donkeys. I had never realized the plight of donkeys till ACF highlighted it and since then i have personally funded 3-4 of their donkeys camps. “Naya” Pakistan under “new” sadiq and amin leadership minted. Anyone who does not agree with our Ladla Khan is a donkey and this is the fate awaiting him or her.